Copper is a brownish or reddish element that is amongst the most broadly used metals around the world. 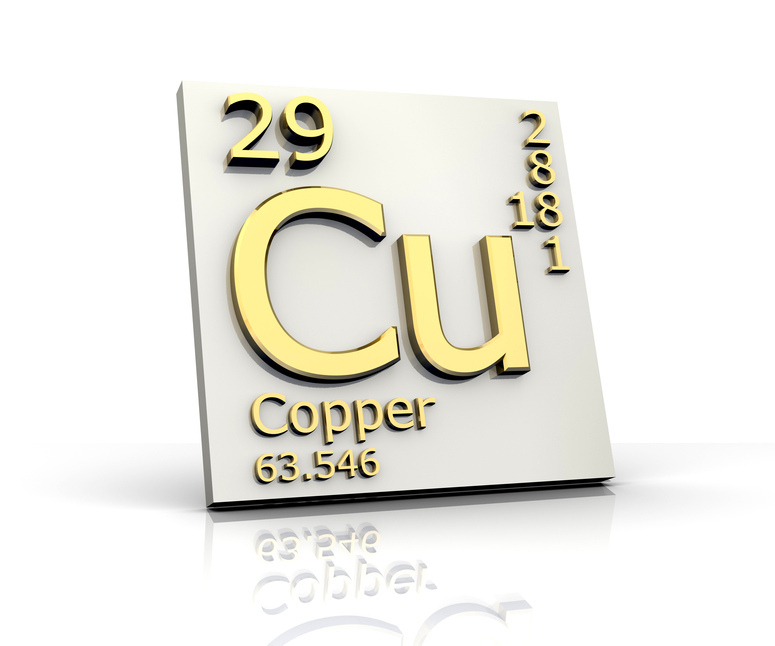 Copper’s elemental symbol is Cu. It is amongst the transition metals found in the periodic table of elements and has an atomic number of 29. Copper was widely known during prehistoric times and was quite possibly the first metallic material that was used in the making of the first tools and instruments used. Many articles made out of copper have been unearthed together with the remnants of a number of ancient civilizations and cultures, including those found in Asia Minor, Egypt, Southeastern Europe, China, Crete and Cyprus. The metal was also familiar to Native Americans which are evidenced by the American copper ores that were discovered by the European pioneers. Great amounts of copper in its pure state have also been found. 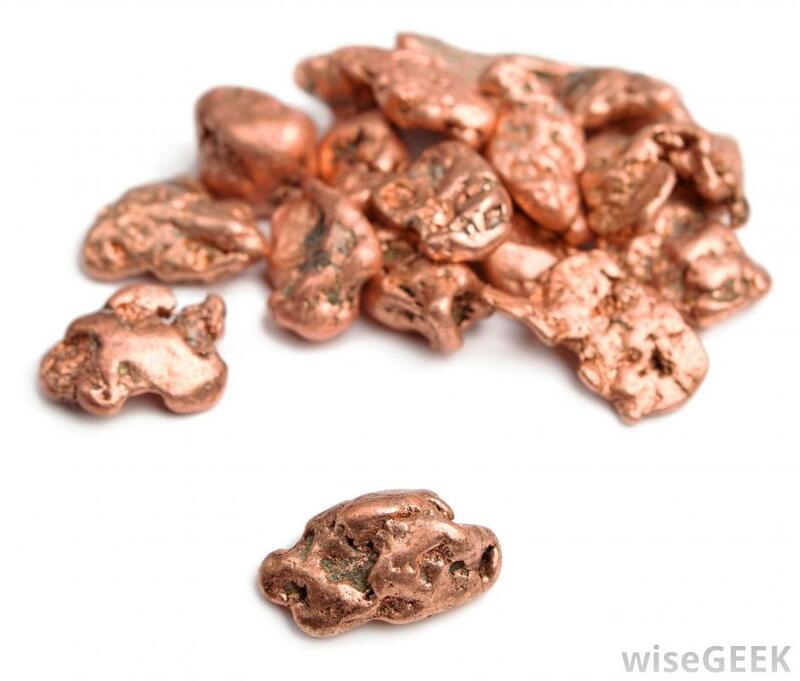 Copper has a melting point of around 1985°F or 1085°C, melting point of around 4644°F or 2562°C, specific gravity of 8.95 and an atomic weight of 63.546. Due to a number of its desirable and sought after properties, including its great conductivity of heat and electricity, its ductility and malleability, its great resistance to corrosion, and its attractiveness, the metal has long been utilized in a broad spectrum of functions. The majority of uses of copper are electrical due to the metal’s tremendously high heat and electrical conductivity which is only next to that of silver. Due to its ductility, copper can easily be drawn into thin wires of any diameter (from around 0.001 inches or 0.025 millimeters upward). Drawn copper wire has a tensile strength of about 60,000 pounds per square inch or 4200 kilograms per square centimeter and can be utilized in making cables and outdoor power lines. 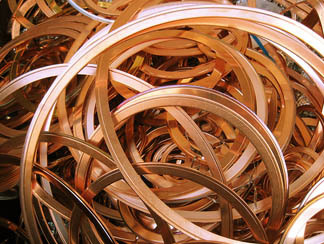 Copper is also used in manufacturing components of electrical machinery and equipment, such as motors, generator, electromagnets, signaling devices, communications equipment and controllers and in the wiring of appliances at home such as lamp cords and lighting. Certain copper solutions have the ability to dissolve cellulose, for this reason large quantities of copper are used in the production of rayon. Copper can also form two series of chemical compounds which classified as cuprous (unstable) and cupric (stable) compounds.